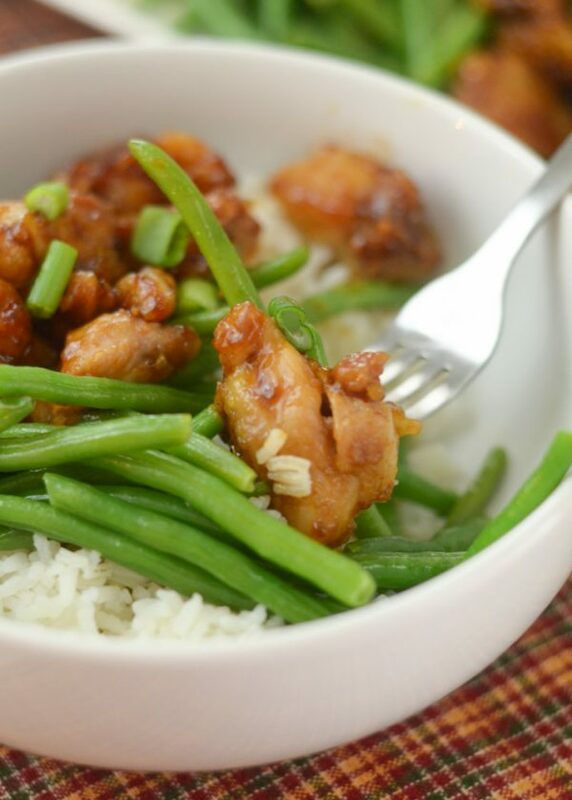 Make a delicious dish with fewer calories with this Air Fryer Honey Garlic Chicken. I have used so many small kitchen appliances over the years, most of them are all fabulous but not something I use all the time. Guess what? I found one that may have just changed my life, the Air Fryer. Have you tried an Air Fryer yet? I was skeptical at first, then we made this Air Fryer Honey Garlic Chicken, and I’m in love. There are so many different things you can make in an Air Fryer. I’m going to try some Catfish Nuggets and Mongolian Beef here soon too. What have you tried? 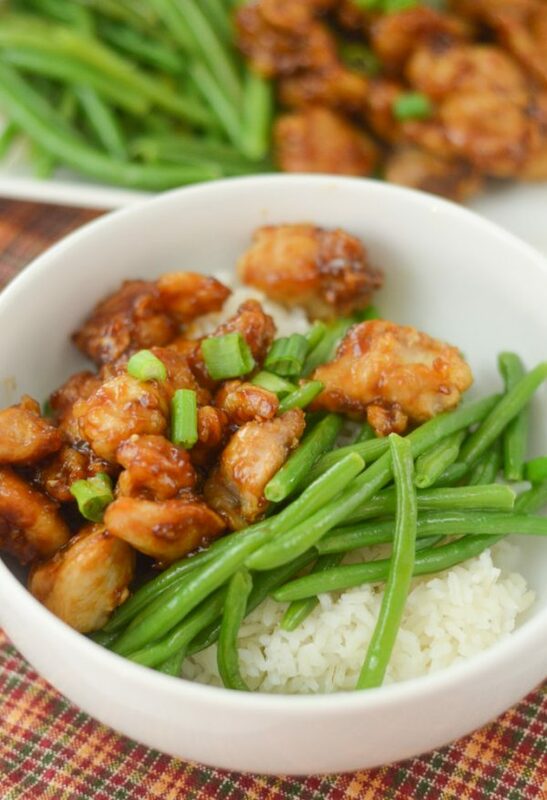 Since I’m gluten-free having take-out at our local Asian restaurant isn’t something I can do, typically I just make my own at home but I’ve yet to figure out how to get the chicken super crispy without frying it. Now, I can do that with the Air Fryer with this air fryer chicken recipe. I coated this chicken in cornstarch; however, I hear that potato starch is the best choice. I decided to go with cornstarch since that is what I had on hand. It worked just as well too. 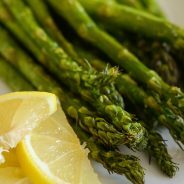 Find more Air Fryer Recipes by heading clicking here! I am also planning to try it with some Sweet and Sour Sauce too, so many options, I just can’t wait! 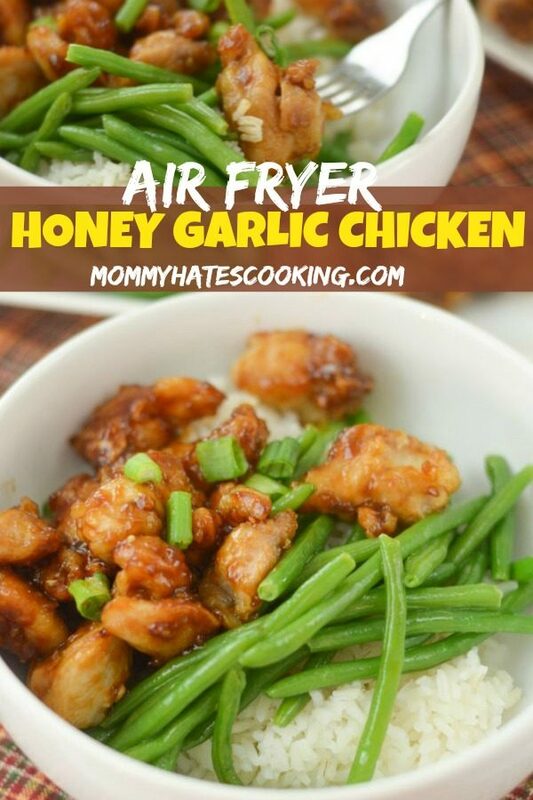 How do you make Air Fryer Honey Garlic Chicken? 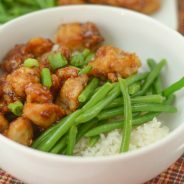 I made the Honey Garlic Sauce adapting my recipe for the Slow Cooker Honey Ginger Chicken, then you will want to also use boneless, skinless chicken thighs. The chicken thighs are the best choice because they are a little bit more juicy than a chicken breast. The video in this post is actually done in the Ninja Foodi. Once the chicken comes out of the Air Fryer, you will then want to toss it in the sauce before serving. So the sauce will not be on the chicken when it’s in the Air Fryer. Now, once our chicken was done, we paired it with green beans and rice. 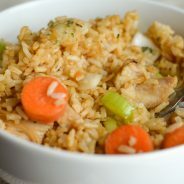 It hit the spot for us and made me think I am going to be adding recipes like this to our menu every week! Now, what have you tried in the Air Fryer? I’d love to hear some more recipes I should try too! 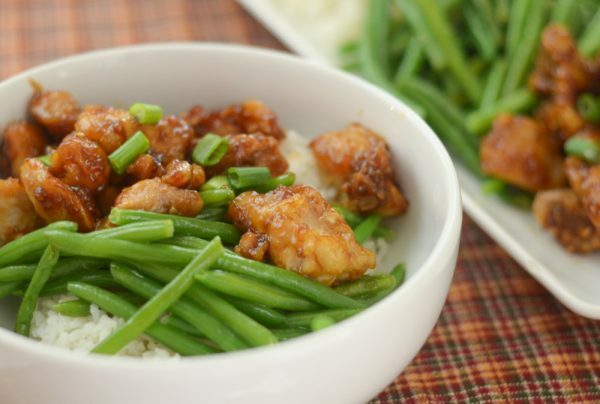 Enjoy this Air Fryer Honey Garlic Chicken! 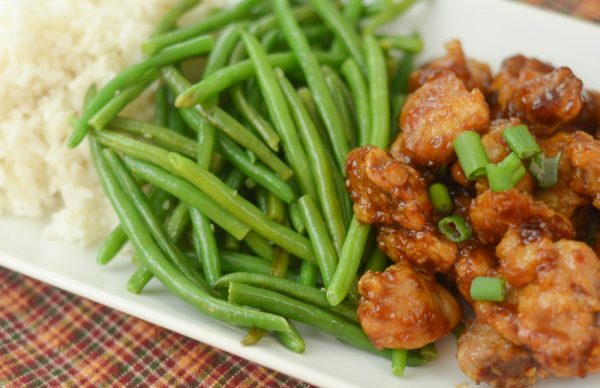 Cut the chicken into cubed chunks, then toss in a bowl with Cornstarch or Potato Starch. Use enough to coat the chicken evenly. While the chicken is cooking, in a small saucepan, combine the honey, soy sauce, ketchup, garlic, and ginger. Bring this to a low boil, then whisk in the cornstarch until the sauce is thickened. (Note, if it's not thick enough, add in additional cornstarch until nicely thickened. Once the chicken is cooked, mix it into the sauce and warm up. This can be done in a small skillet or the saucepan, simply coat the chicken with the sauce. It will be a sticky texture sauce. 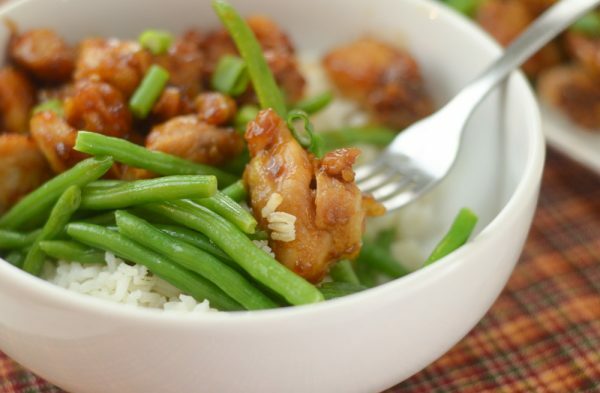 Serve the chicken over the cooked rice with green beans. Once you have the chicken made, carefully remove the basket. It will be hot, use oven mitts. Clean the pot out, then you can do your sauce in this pot. Simply use the sauté function on medium-high heat. Make sure to use a wooden utensil or one that won't scratch the pot. Stir it until it's well combined then mix in the chicken. The rice and green beans can also be made in this; however, I find it's faster to just do those on the stove while the chicken is cooking. That's your preference. thanks for linking up to the Merry Monday party. It’s SO AMAZING!! It basically ‘fries’ food but with air and not oil, so it’s way better for you. 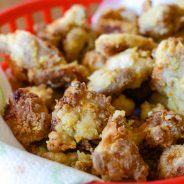 What is the capacity of the air fryer used for this recipe? I used a 3.7L for this one. I’ve always done these two but you could probably do regular flour too if you didn’t have another alternative. Are there any starches you are able to use that you aren’t allergic to? If so those would prob work as well.